Boot Camp for New Dads® (aka Daddy Boot Camp®) is a unique father-to-father, community-based workshop that inspires and equips men of different parenting levels, ages and cultures to become confidently engaged with their infants, support their mates and personally navigate their transformation into dads. 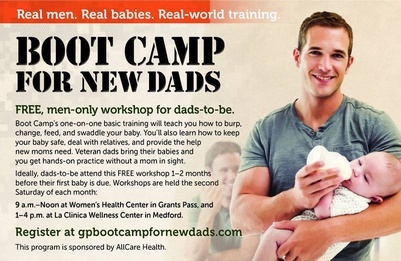 Contact http://bbath@gpbootcampfornewdads.com for more information & registration. Every 2nd Saturday of the month! 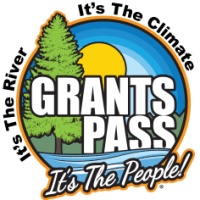 *This initiative was originally sponsored by AllCare Health and is now sponsored by The Family Connection. Many thanks to Women's Health Care Center of Southern Oregon for hosting leaders of our next generation. Dad's matter. Positive parenting is important!